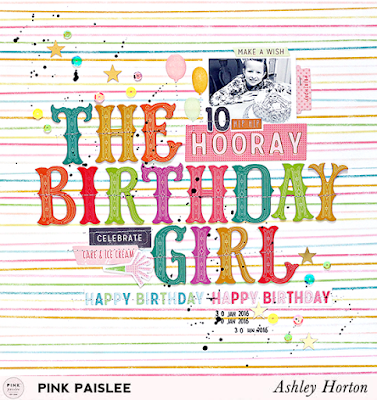 Pink Paislee's bringing the party to you with the fun, new Birthday Bash collection! I have plenty of birthday photos to document every year with three kiddos in the house. 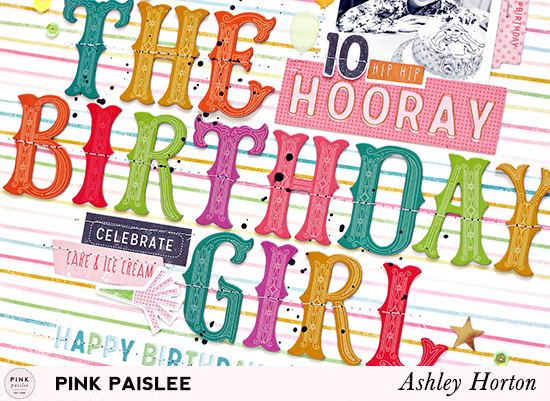 For this layout, I decided to use a photo of our eldest daughter on her 10th birthday, posing with her Barbie birthday cake. 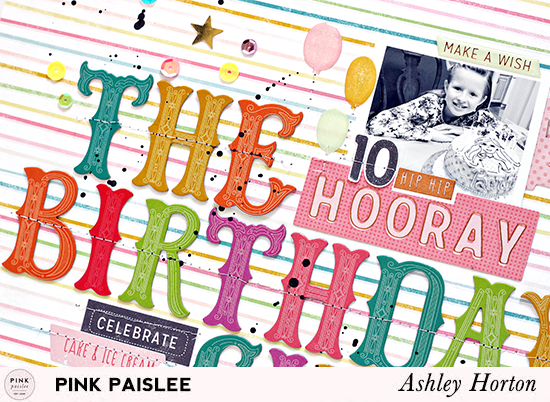 I knew right away that I had to use the fun Party Thickers to create a large title for my layout. I chose the #11 patterned paper for my background because I knew the horizontal lines would be perfect for lining up my title. I adhered the word “Birthday” first so I could get the spacing right for the full title and once all of the letters were in place, I machine stitched through them. The photo I chose for the layout had a lot of contrasting colors with the Birthday Bash collection so I decided to make it black & white. I really liked the look of the black & white photo with the bright colors from the collection. I added some ephemera and stickers around the photo to help it stand out more from the colorful background. 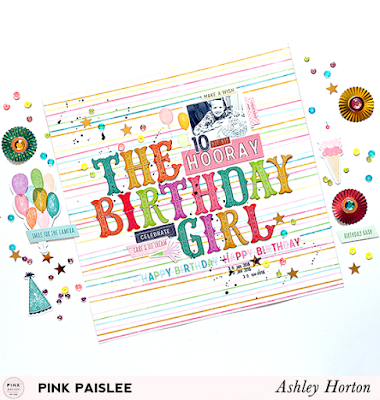 Since this was a birthday themed layout, I couldn’t finish it without a little bit of confetti! I used the Birthday Bash sequins in a diagonal design on the layout. Once I had all of the sequins adhered to the layout, I decided to add a bit of black Color Shine to go along with the splattered confetti look and to add a bit of contrast to the bright colors on the layout. Next time you’re planning to document birthday photos or create some party decor, make sure you grab the Birthday Bash collection! It will definitely make you feel like celebrating!